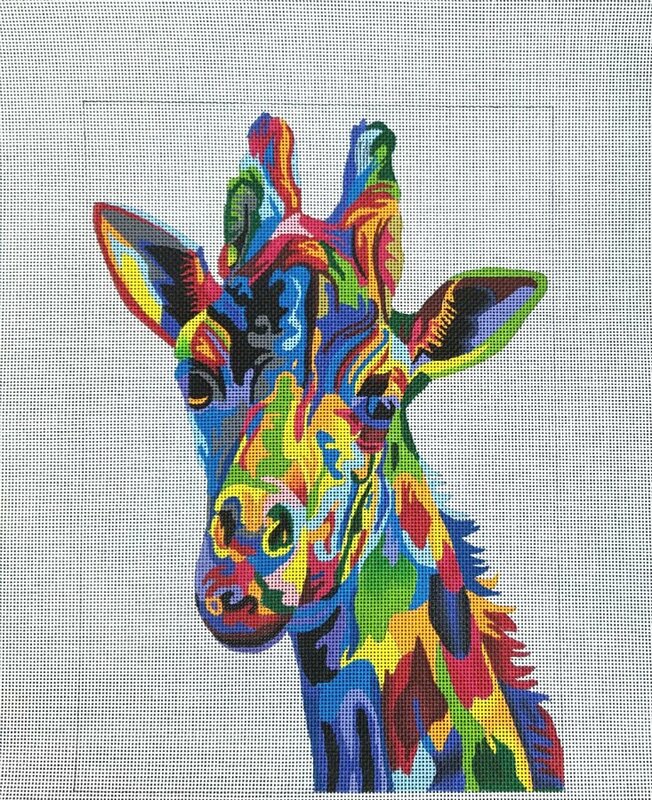 An abstract wildlife giraffe needlepoint design from Julie Mar. The design area measures 10" x 15". If you require stretcher bars we recommend a pair of 14" and a pair of 19" and some thumb tacks. You can buy this giraffe needlepoint design as canvas-only or as a needlepoint "kit" with cotton, wool, or silk threads. For cotton we use DMC stranded floss; for wool and silk we use Planet Earth fibers which are single stranded and easy to use.